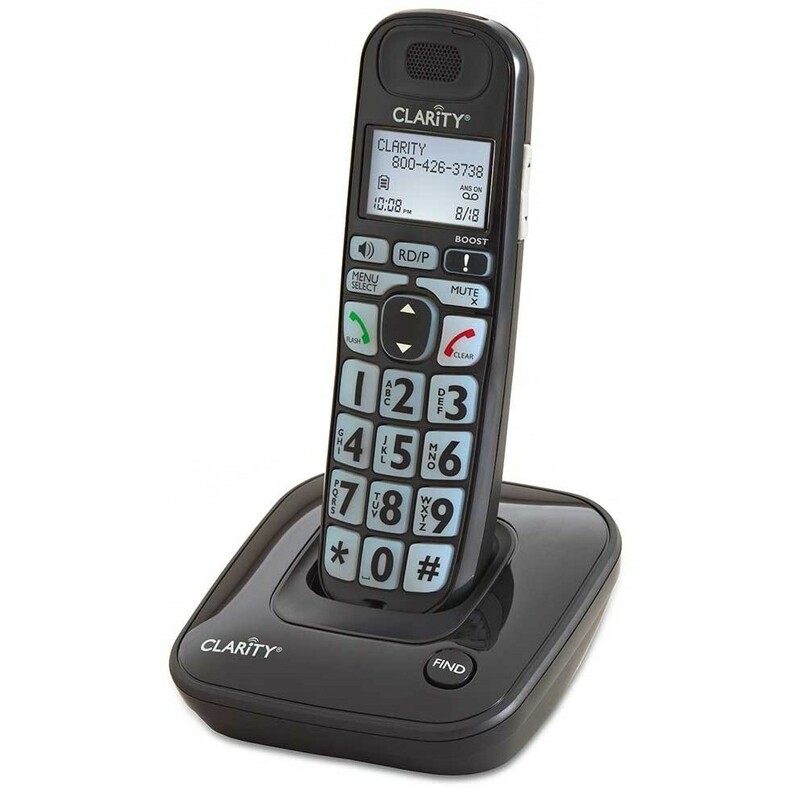 The Clarity® D703™ is an amplified, big button cordless telephone with Caller ID. The D703 amplifies voices up to 12 times louder than a standard home phone. For users looking for a solution for vision needs, the D703 features a large, backlit keypad, high contrast numbers, a bright visual ringer and a large font, high contrast Caller ID display. The Clarity D703 uses patented Clarity Power™ technology, making hearing easy again by eliminating feedback and distortion, minimizing background noises while managing soft and loud sounds. For convenience, the D703 offers an extra loud and clear handset speakerphone to talk hands-free. Expand the phone system with up to five expansion handsets (sold separately - CL-D703HS). * NOTE: Caller I.D. and Call Waiting require subscription from local phone company. This phone does NOT include an answering machine. However, it can be used with an external answering machine. Have a phone in each room, even without a jack! Purchase up to four (4) Additional Handsets with this system.